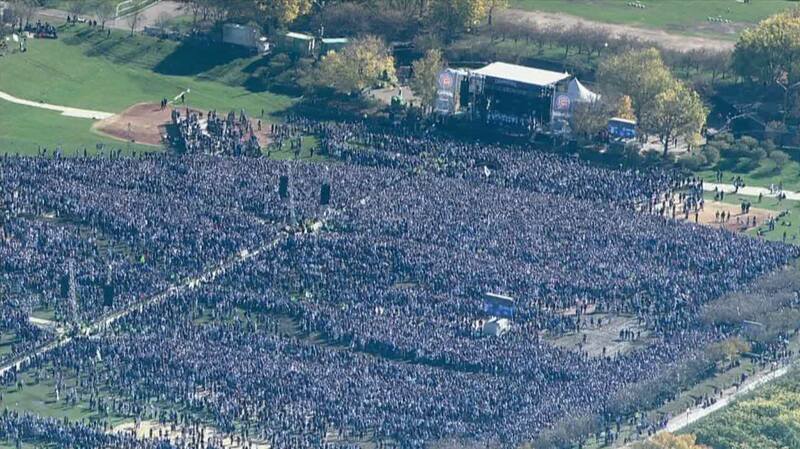 Chicago Cubs Rally Ranks 7th Largest Gathering EVER! First of all, after 10 innings and a few meltdowns, my body cannot handle anymore Cubs shenanigans. Secondly, how amazing has this passed week been? 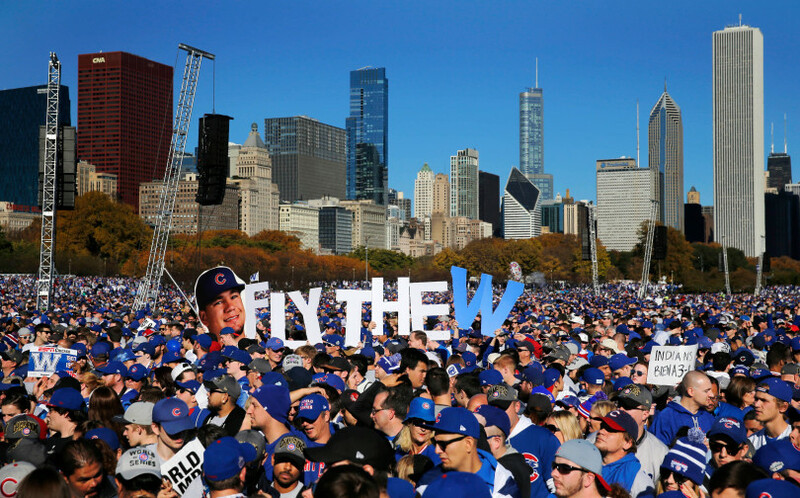 The Chicago Cubs World Series Champions rally brought 5 million people in to the city. YES, 5 MILLION PEOPLE! The celebration crowd beat out the 3.5 million people who went to Rod Stewart’s 1994 concert in Rio. But, no worries. We are still NUMBER ONE in the United States because that rally beats ALL gatherings in the U.S.
Let’s make next year a good one, too! 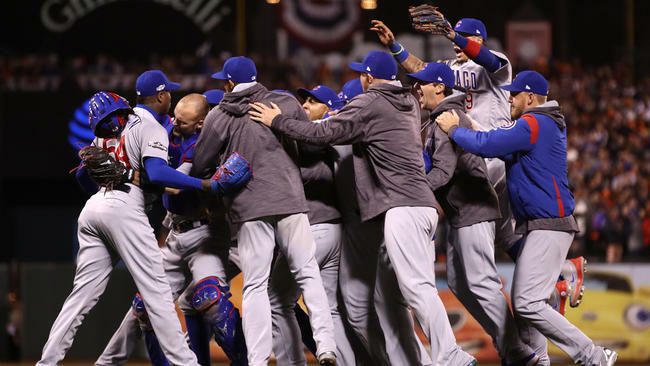 But for now, we will continue to obsess over how the Cubs are finally Champs after 108 years! 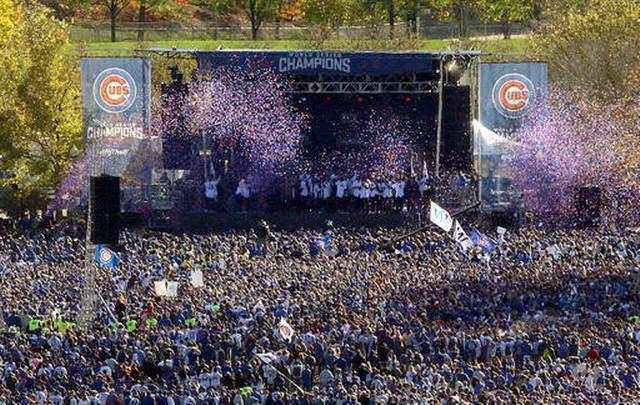 Oh yeah, we still have the Chicago Bulls, Blackhawks and Bears.